Posted at: 9/04/2010 03:58:00 PM . This post has been sponsored by Nature Valley through My Blog Spark. I was sent a box of specially marked Nature Valley Bars as well as a Nature Valley prize pack with items that can be used in the great outdoors this summer. The prize pack included a mini backpack; a military grade compass; a solar-powered, key chain flash light; a reusable water bottle and a copy of Patricia Shultz’s 1,000 Places to See Before You Die: A Traveler’s Life. This post is 100% my opinion. When I was contacted by My Blog Spark with this prize pack I thought it would be great. Nature Valley has teamed up with Patricia Shultz, author of 1,000 Places to See Before You Die and travel industry leader, to help support the National Parks Project. This year the National Parks Project will focus on restorative work at Grand Canyon, Yellowstone, and Biscayne National Parks. I love Nature Valley's Oats and Honey bars. I often pack them with some apple sauce as a breakfast at work because it's easy and yummy. The prize pack came with some great outdoors stuff and the book is really interesting. It goes state by state to give descriptions of all the amazing things the nation has to offer. Ever since I was younger, I have wanted to see all the national parks. I tried to get a group together during college to RV across the country, but we never found the time or money to do it. Hopefully one day I will get to see the great sites, but we really need to make sure they are still around by the time I can travel. National Parks Conservation Association (NPCA) is working to keep our National Parks as beautiful as the day President Grant first dedicated Yellowstone in 1872. That's it. Nature Valley will take care of the rest. Now even cooler then the recycling efforts is the contest that Nature Valley is hosting in association with this promotion. Facebook fans can enter to win a trip to the Grand Canyon. Also on facebook you can see updates on the restoration projects, as well as videos and pictures from “National Parks Project” volunteers. Nature Valley also has a site of games. Each game you play (free of course) will donate $0.10 to the National Parks Project and each day you visit the site you'll get an additional entry in the Grand Canyon sweepstakes. As part of this post, My Blog Spark has provided me with an additional prize pack for one of my lucky readers. A box of specially marked Nature Valley Bars (don’t forget to send in your wrappers!) as well as a Nature Valley prize pack with items that can be used in the great outdoors this summer. Your prize pack will include a mini backpack; a military grade compass; a solar-powered, key chain flash light; a reusable water bottle and a copy of Patricia Shultz’s 1,000 Places to See Before You Die: A Traveler’s Life List. We will also provide an additional prize pack to give away to one of your readers. You may enter this contest up to four times, once using each entry method. 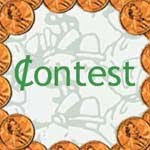 The entry period for this contest will close on September 12, 2010 at midnight (est). Method 1, Required Comment - Leave a comment on this post about your most memorable trip to a National Park (or any park). Method 2, Facebook - Be a fan of Making Cents of It on Facebook. Method 3, Twitter - Follow Making Cents of It on Twitter. Type or RT "I just entered to win a Nature Valley prize package from @MakingCentsofIt. Follow them to find great deals. #myblogspark" You can change the wording but make sure you include the @MakingCentsofIt and #myblogspark. Method 4, RSS Feed and/or Email Subscription - Subscribe to the RSS feed and/or daily email digest to get the most up to date posts. After you complete your entry, come here and leave a comment on this post. Leave a separate comment for each entry with the following information. How a winner will be selected: I will be using Random.org to select the winning comment. I will enter the total number of comments and have it randomly select one number. I will look at the winning entry and verify that it was completed correctly. Once verified I will make an announcement of the winning post here on the blog. Once announced the winner will have 48 hours to contact me at Cori@makingcentsofit.com. If the entry does not correctly meet a method of entry or the winner does not reply a new comment will be selected. Disclaimer: The Nature Valley Bars, prize pack, information and giveaway were all provided by Nature Valley through MyBlogSpark. You must be at least 18 years old and live in the United States to enter this contest. The prize package will be shipped directly to the winner from MyBlogSpark. I don't think that I have been to a national park..I might have i just don't recall it..lol:) I do remember my trip to disneyworld and it was the best!! One of the best trips of my life. The Grand Canyon is something I'll never forget. My husband and I went with another couple to Rocky Mountain National Park. We had a great time and Alberta Falls was absolutely beautiful! I don't know if I have ever been to a National Park. I would love to go to Yellowstone one day though. We went camping one time at a park (idk if it was a national park), but it started to rain the next day so we only had one night as opposed to the two we had planned! Our trip to Yellowstone in the winter was just amazing! My most memorable trip to a National Park was when my older sister took us to Sequoia National Park. She and her husband took their kids, my younger sister and me on a day trip to the Sequoia National Park when I was about 12 years old. It was an amazing experience. We spent the day hiking on the nature trails and had a picnic at the park. It is one of the most beautiful places I have been to. we went on a 3 week RV trip out west, saw Mt. Rushmore, Yellowstone, Denver Co, Cheyenne Wyoming Rodeo Days, Corn Palace, the Badlands, Boise ID...and much more! As a child going to the Grand Canyon was the most amazing things to see. I would love to take my kids one day. I also signed up for the email subscription. hmm..my most memorable trip was driving around Arizona as a kid trying to find all the hidden treasures and unknown places! My favorite trip was to the Grand Canyon. No words are needed for this magical experience. I visited with my mom, and the views took my breath away. Hands down...Grand Canyon! 'Nuff said. I have never been to a National Park. I would love to visit The Grand Canyon one day. For me, it would have to be Denali Nat'l Park in AK. I never experienced the breathtaking awe & wonder of rugged wilderness until I went there. The sheer vastness of the terrain makes one realize how small we really are...& how HUGE creation is! The moose, grizzlies, caribou, wolves, wolverines, eagles - wow! What a photographer's delight!! There is SO much to see there that can't be seen anywhere else, from snow-capped towering mts, to vibrantly colored flowers, to rugged wilderness where no one else is around, to amazing wildlfe - it simply exceeds all other Nat'l Parks I've visited. I would live there if I could! The summer before I was a senior in high school my family (Mom, Dad, little brother, little sister, and myself) took a two week vacation to explore the wild west and stop by as many national parks as we could. The whole trip was memorable, but there were a couple moments that I will never forget. The one that stands in mind is in Arches NP. We hiked the trail to stand at delicate arch during sunset. There was a brillant display of colors from the sun's rays on the rock then an amazing. Reminds me of the stories I've heard of Ayers rock in Australia. I like Making Cents of It on Facebook! I subscribe to your daily feed! We made a trip to Yellowstone a few years ago with friends and had the best time together. Thanks for the wonderful giveaway.